This will be the 2nd part of the Forex tutorials. If you noticed, I have deliberately left out information like opening times of various exchanges, how to calculate pips, history which you can easily find in other websites like Babypips.com. This is because I do not believe that this is important in mastering Forex. The most important thing is still market analysis, and all the other information is just for your pleasure. Of course, opening times do matter, but nothing can triumph market analysis in any form of trading, not just Forex. 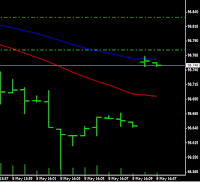 Technical analysis involves tracking price movements. The theory behind technical analysis is that historical price movements determine current trading conditions and project future price movements. Some traders also believe that price reflect all the information that is out there and patterns can be drawn to profit from the price movements. Technical analysis is highly subjective and different people can draw different conclusions from the same chart. 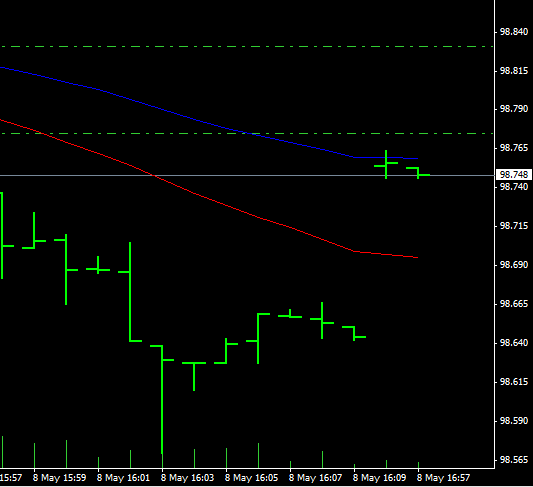 You wil see a lot of chart like this once you start trading for real. There are also candlesticks and line chart. Fundamental analysis involves the research of the economic, social and political forces that influences prices of currencies. In short, it is the demand and supply of the country's currency that creates opportunities for profits. The basic idea is if the country is expected to perform strongly or has strong economic growth, you should go long (buy) the base currency which corresponds to the currency and if a country is expected to perform badly, you should go short (sell) the base currency which corresponds to the base currency. Factors like natural disasters, famines, war can all influence how a country perform. For fundamental analysis, its all logic in play. For example, during the 2008 financial crisis, investors feel uncertain about the US economy, they prefer to invest in other economies. This will result in selling pressure of the USD and buying pressure of other currencies. As a result, USD fell from a high of 1.7 to 1.8 against the SGD to 1.2 today (I choose to use this example because I come from Singapore). In short, a prosperous economy will signal the signs to buy and a declining economy signals the signs to sell. In the end, there are times where neither technical nor fundamental analysis can explain why the market moves the way it did. This is because of mass psychology. If you think the market is going down while everyone else think it is going up, it only makes sense to buy instead of selling the currency. For a trader with limited capital, we have to learn to move with the markets, not against it. You can only influence the market when you are rich like a billionaire. And even then, you might not be able to influence the Forex market in which over $3 trillion is traded daily. A billionaire can maybe moves the stock exchanges. In short, I would recommend a trader to trade using all 3 as you should never neglect one or the other. You can maybe focus on only fundamentals in stock exchanges and still become a billionaire like Warren Buffett, but the Forex market is too risky, and too volatile to use only one weapon when you can use all 3. Do look forward to the next tutorial.